As a revered symbol of freedom and justice, the flag of the United States of America needs to be treated with the utmost respect. This respect extends to the flag's eventual retirement and destruction. The United States Flag Code states: "The Flag, when it is no longer a fitting emblem of display, should be destroyed in a dignified way, preferably by burning." 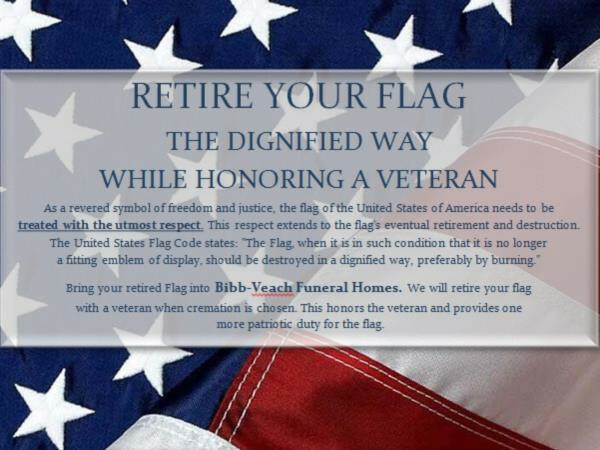 Bring your retired Flag into Bibb-Veach Funeral Homes. 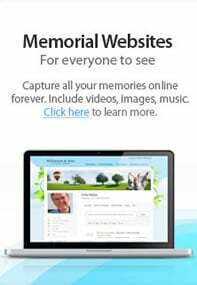 We will retire your flag with a veteran when cremation is is chosen.